For many people, stubborn stains and discolorations cause them to be self-conscious about their smile. For others, although the color may be ideal, they may feel that due to crooked and uneven teeth, their smile is not something to smile about. If this is you then we have good news for you: dental veneers are available and they can fix whatever issues you feel you have with your smile to help you have the smile you have always wanted. A dental veneer is a very thin piece of porcelain that has been handcrafted to fit the coloring and spacing of your other teeth. The veneer is placed over your existing tooth and can assist in reshaping a tooth, closing a gap, or covering up a stubborn stain. Because they are made out of porcelain, veneers are quite durable and with the proper care and dental hygiene practices, should last decades. Once they are installed, they are virtually indistinguishable from your natural teeth and nobody but you will ever know that you have veneers. There are a number of reasons that veneers are used instead of other dental restorations such as crowns, bridges, and dental implants. 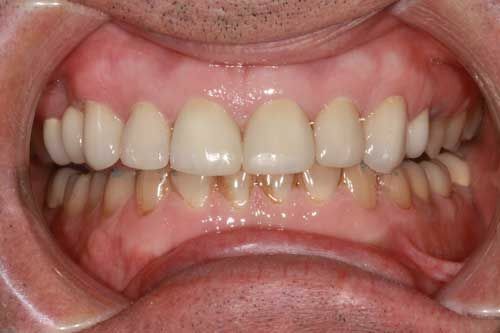 A veneer can be more realistic in appearance than something like a bridge. At the same time getting a veneer is generally less expensive than getting a full dental implant; further, assuming that your tooth is healthy and structurally sound, there is no reason to completely remove it and replace it with an implant when you can simply get a veneer instead. Veneers are primarily cosmetic in function and are used to straighten a crooked smile, repair teeth with slight damage such as chips or extensive wearing, resize teeth that may be too small or too large for your smile, or cover up stains that cannot be removed any other way. First, we will thoroughly clean your teeth and shape them to fit the veneer that we will be installing. 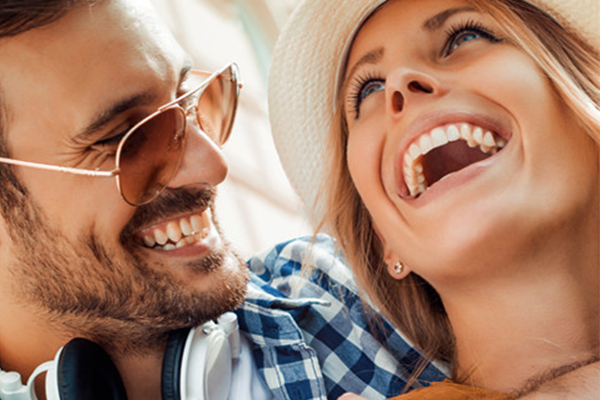 We will take an impression of your bite to assist us in preparing the correct size and shape of a veneer and will consult with you on choosing the best color to blend in with the rest of your smile. After we have created the veneer we will have you return for another visit to have the veneer installed. When you come in and we will first clean your teeth with a specially-formulated liquid which assists in the bonding process. We will then use a specialized cement to attach the veneer to your tooth itself. Finally, we will go over the veneer with a special light which will cause the cement to cure. Before you leave we will give you instructions for caring for your new veneer. It is important that you follow these instructions to ensure a long life for your new smile.